Bistro Vivienne is tucked away just by the famed Kabukiza theater. 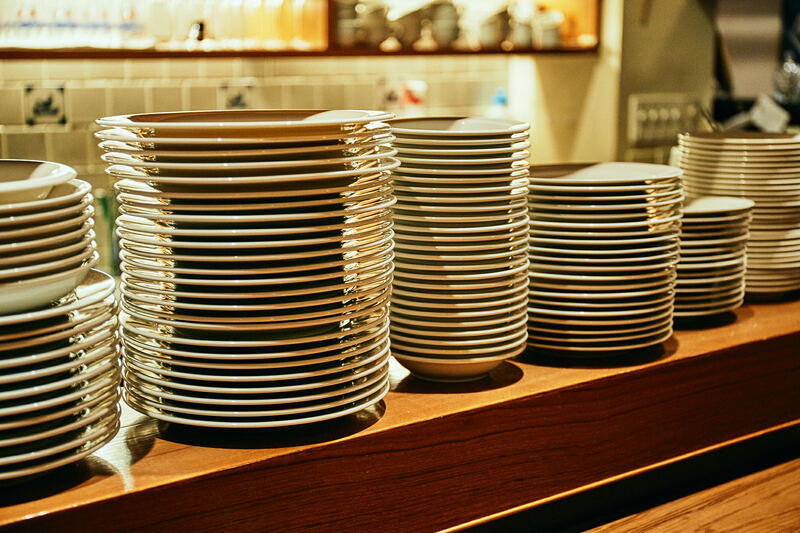 While Higashi Ginza is the nearest station, you can also reach Bistro Vivienne in less than eight minutes even from the bustling Ginza 4-chome crossing. This makes Bistro Vivienne the ideal place for shoppers finishing up a day in Ginza, or those looking for a sophisticated and fun evening after work with their colleagues. But let’s also be clear: Bistro Vivienne is not your ordinary Tokyo bistro. 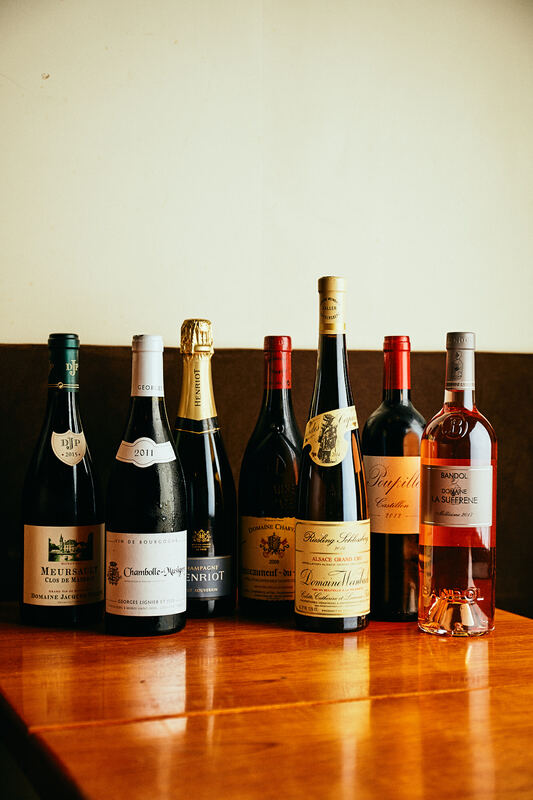 Owner and sommelier, Junko Saito, lived in Paris for a time, where she worked at a wine shop after graduating from a Kobe university with a degree in French literature. There, she witnessed customers having great fun talking to each other and exchanging views while selecting wines to buy. This experience inspired Saito to create her own place, so after four years in Paris, she returned to Japan and began working at wine shops and bistros in Tokyo. And then, she opened Bistro Vivienne. 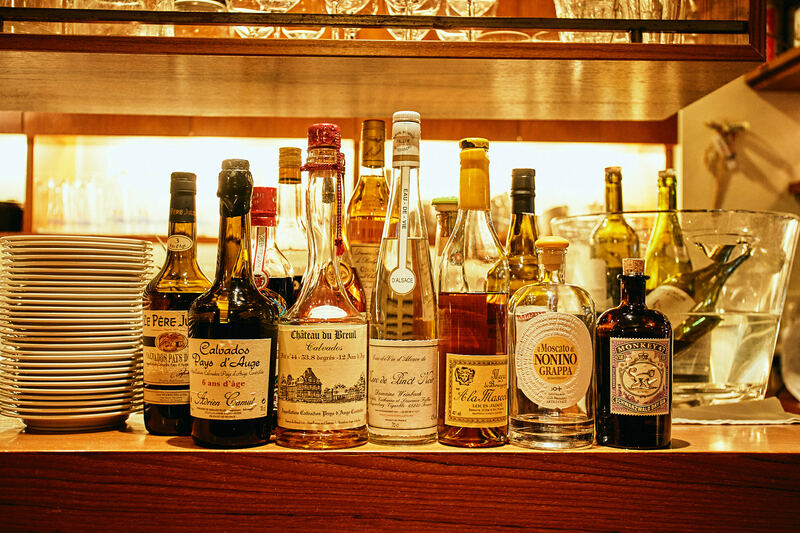 According to a wine connoisseur and long-time regular, Bistro Vivienne’s main attraction is its extensive wine list, which is unparalleled among Tokyo bistros, and challenges even the wine lists found at high-end French restaurants. 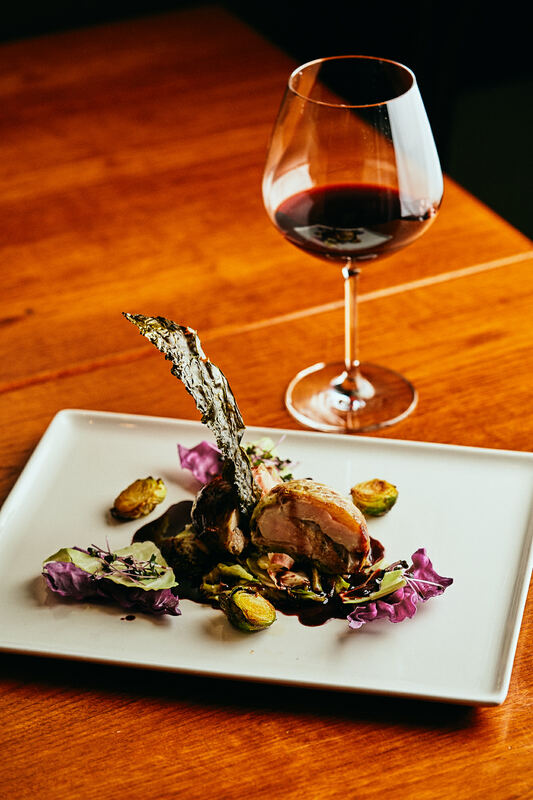 These select wines are reasonably priced, and come together with dishes prepared by Chef Junichi Sato, a chef with 30 years of professional cooking experience. Chef Junichi Sato’s career has been wide and varied. He worked at the Michelin triple-starred Baumaniere in Provence, and the double-starred Jacques Cagna in Paris. In the late 90s, he worked at a tremendously popular Californian-cuisine restaurant in Tokyo, which was often frequented by foreign celebrities, where he discovered a style of cuisine that transcended culinary nationalities. He also had his own restaurants in Nishi-Shinjuku and Ikejiri-Ohashi. 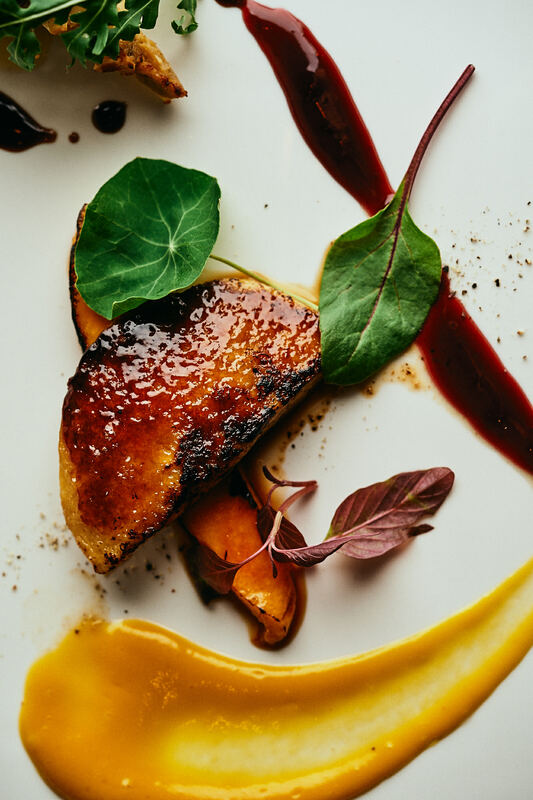 Chef Sato says, “I enjoy thinking about new dishes while cooking the latest ones.” At Bistro Vivienne, he prepares not only traditional bistro fare, but also his own unique dishes, concocted over years of experience. You might call Chef Sato’s original dishes bistronomy; gastronomy-inspired and presented in casual bistro style. Bistro Vivienne is unique. 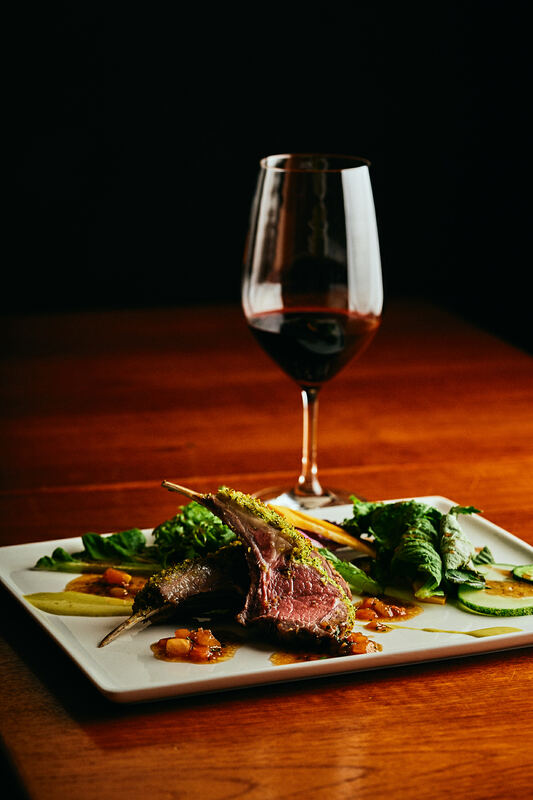 It’s a bistro with food and wine that surpasses traditional bistro standards. It is also special, as it attracts not only casual diners in search of quality places to eat, but also wine connoisseurs meeting fellow wine lovers. You won’t find another place like it, not in Ginza, and not even in the rest of Tokyo! 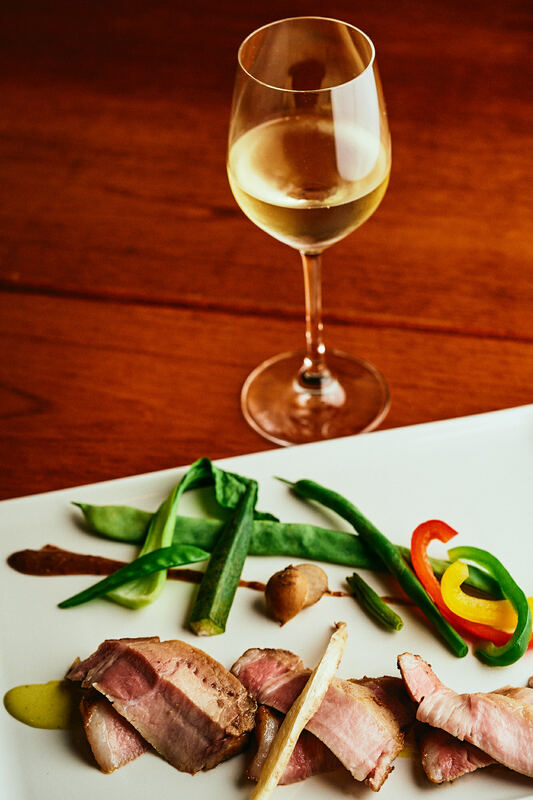 Bistro Vivienne’s a la carte menu allows you to select dishes at your leisure to go with your wine. Small dishes of olive or cheese are ideal with a first glass of wine, and are priced at less than 1,000 yen. A plate with assorted hams is 1,500 yen. There are more than 10 appetizers, both cold and warm, and almost all of them are around 1,500 yen. Seafood dishes are priced at less than 2,500 yen. On the menu, you will often find luxurious ingredients, such as lobster, at less than 4,000 yen. Meat dishes are in the range of 2,000 to 3,000 yen. And even though the wine list features only a French selection, you will still find Chef Sato’s pasta, risotto and pizza on the menu. The 10 desserts at Bistro Vivienne all come with a scoop of sorbet, and are priced at 700 yen. Bistro Vivienne also has a 3,800 yen per-person set menu for parties of two. In addition to the a la carte menu, Bistro Vivienne has the very sumptuous set menus for dinner. Owner and sommelier, Junko Saito, who still speaks French with French sales reps for wine importers, selects almost exclusively French wines. This cozy bistro’s wine cellar boasts more than 500 wines, with a selection that leans more towards red. While Saito personally prefers wines from Burgundy, she also selects wines from other regions. By the bottle, wines start at 4,000 yen. 20 different Champagnes are also available, priced from 9,000 yen. The five sparkling wines are less than 5,000 yen. By the glass, five red and five white wines are available daily, priced from 800 yen. Sparkling wine by the glass is 1,100 yen. You can enjoy small dishes with wines after last order time for a la Carte and set menus.